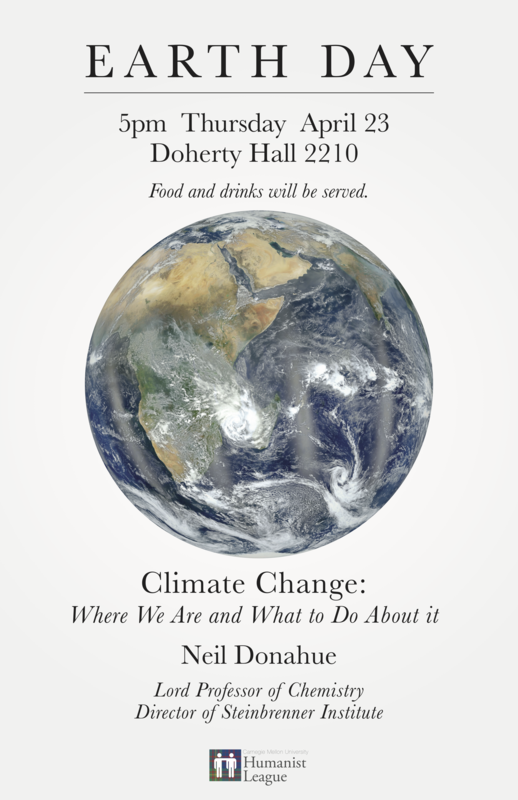 This Thursday, the day after the International Earth Day, the Humanist League is hosting a speaker event, where Neil Donahue, Lord Professor of Chemistry and Director of Steinbrenner Institute, will speak on the current state of global climate change and our role in the planet’s fate. Ryan Brill from Sustainable Earth will present ways in which people may commit to curbing climate change. We will also display a piece of art made collaboratively by the CMU community on a sustainable future. Previous: Humanism Next: End-of-Year Fishbowl Meeting!